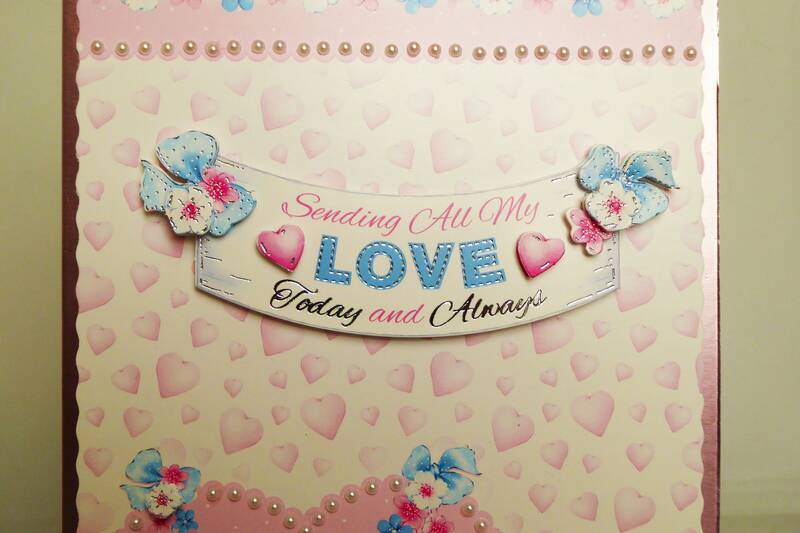 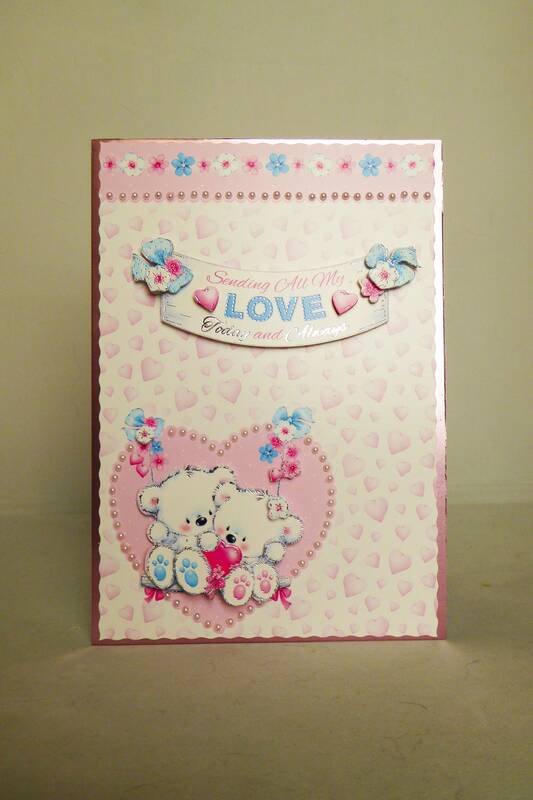 A 3 D decoupage card, made from white base card, layered with pink card and patterned card, with 3 D decoupage at the bottom of the card, at the top is the sentiment banner which says, ' Sending All My Love Today And Always'. 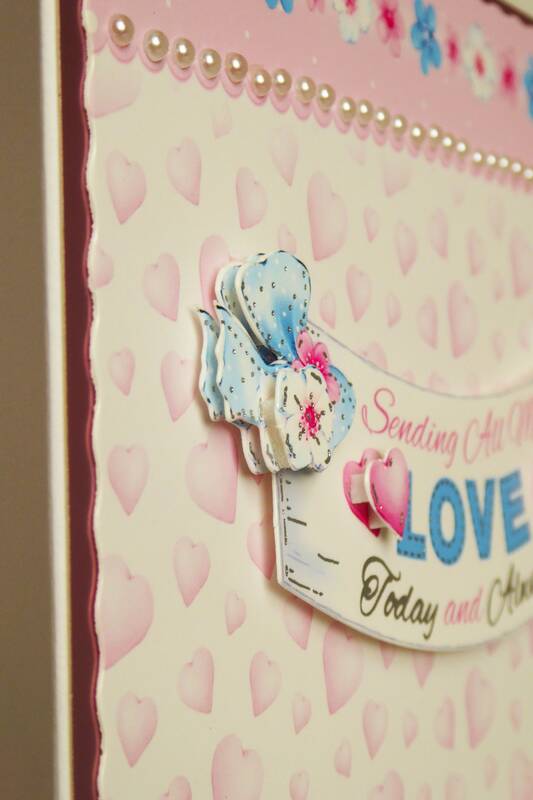 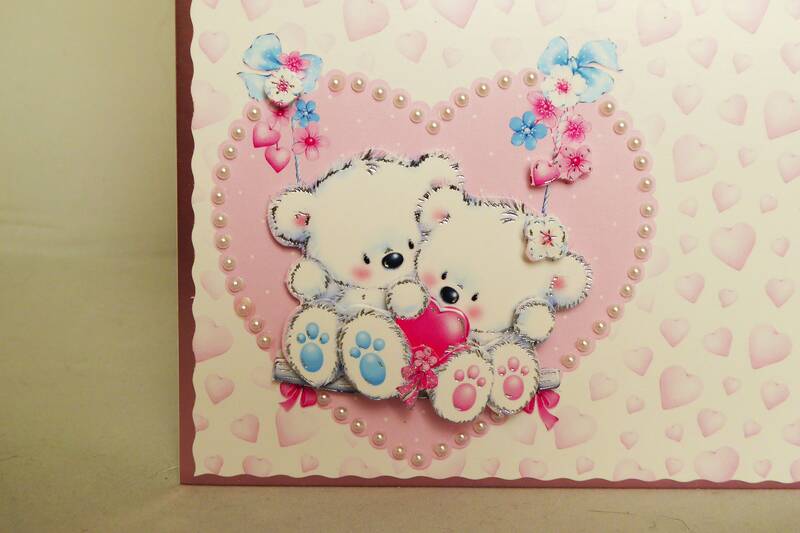 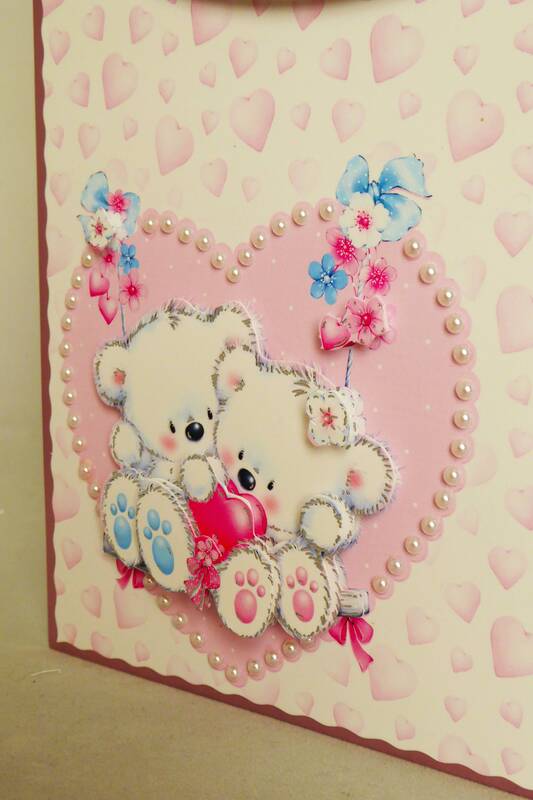 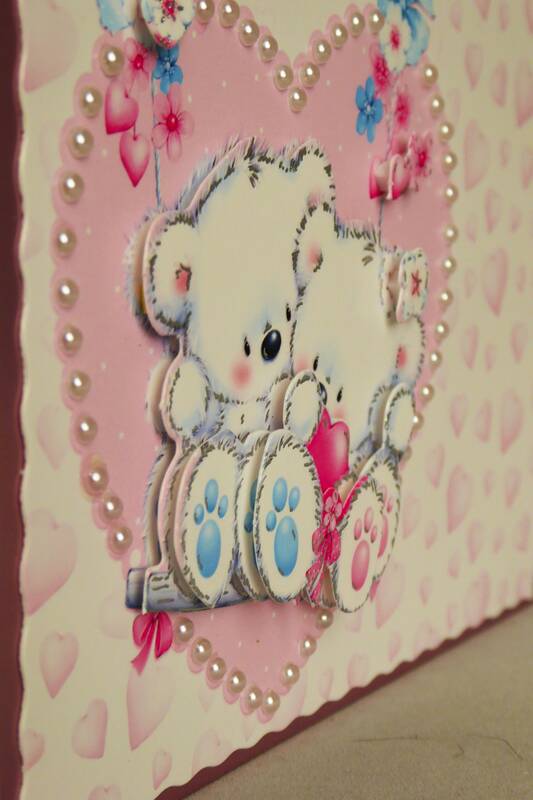 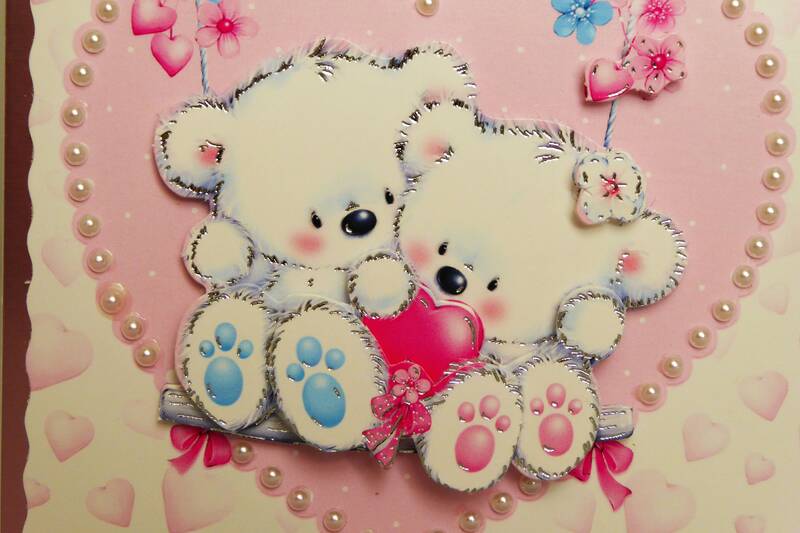 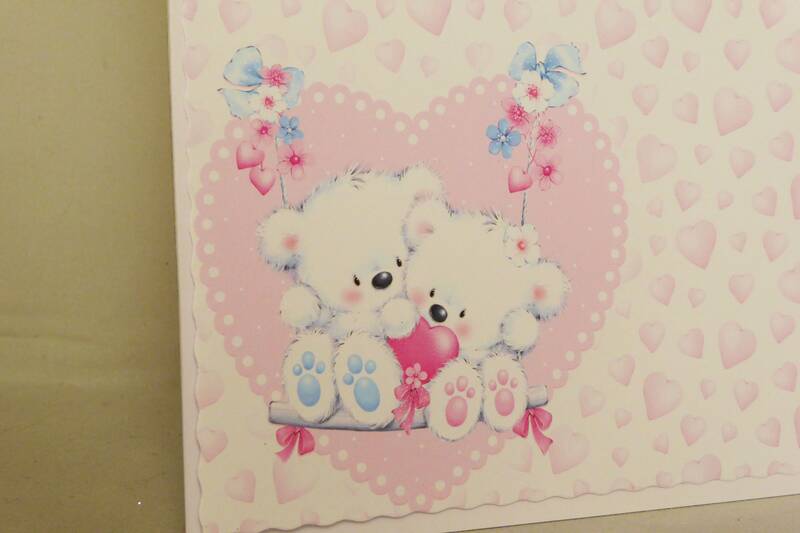 Around the heart and across the top of the card are pearl embellishments. 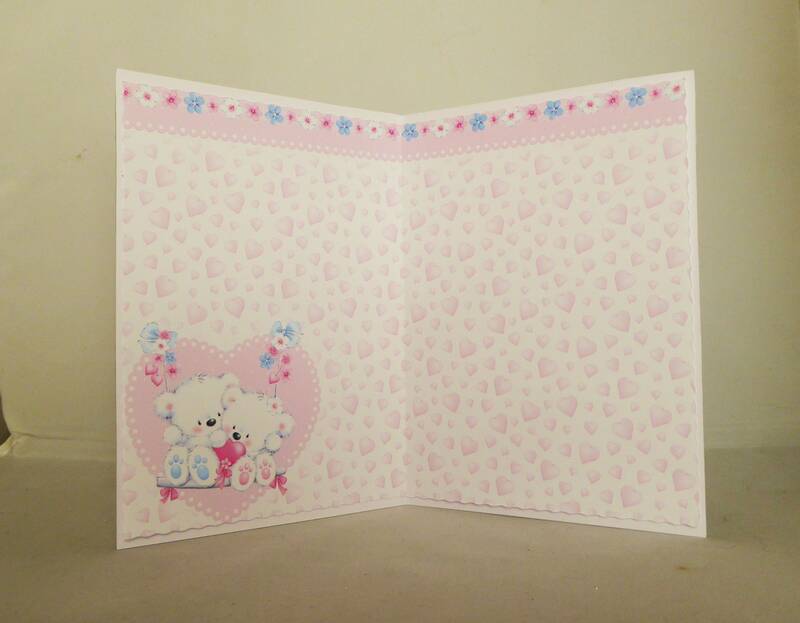 Inside the card is matching insert paper for you to write your own personal message. 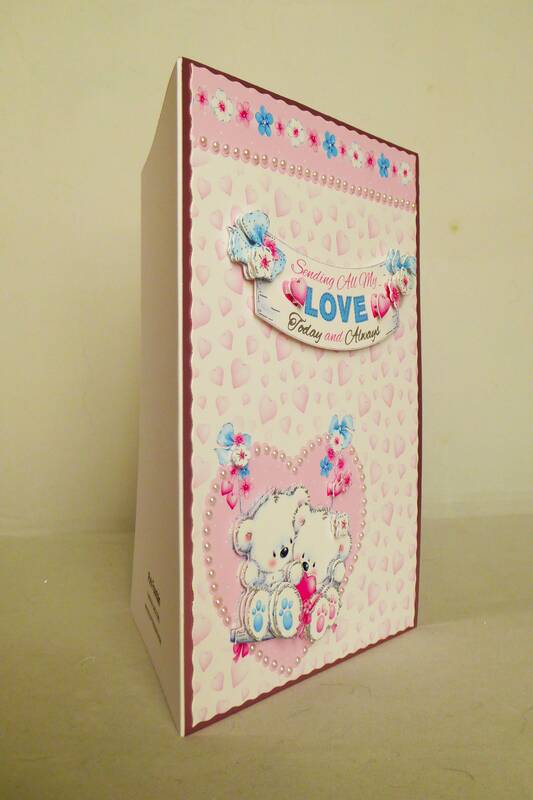 The card measure 6 inch x 8 inch, 15 cm x 20 cm, includes a white envelope.